Check out one GigMaster's busiest variety acts, Playing By Air, in Phoenix. 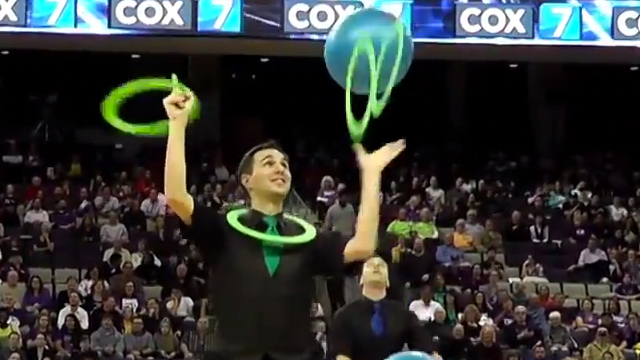 3 jugglers and 7 minutes without dropping a thing! This video was recorded at a game in Phoenix and features an glow-in-the-dark finale! For more info or to book them for your next event, visit one of their many listings on GigMasters here. Note, they are listed in about 20 different cities, so try a seach in your location. Enjoy!